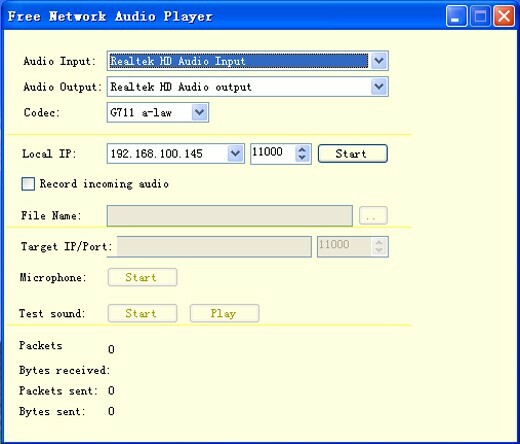 Free Network Audio Player lets you receive audio from one computer to another computer like a direct phone. Free Network Audio Player lets you receive audio from one computer to another computer like a direct phone. You can record and play the music in your computer. You can also set the hz/bit for both recorder and player.This freeware lets you to play songs, audio books, or audio podcasts over the network.